I am loving doing research on the baby items. A few weeks back I started a little registry at Babies R Us, and now I am revising, revising, revising. I love the advice I come across in the blogosphere like here and here. I also am doing a (short) subscription to Consumer Reports to see how well that helps me. Let me start by saying that I have a tendency to want the best, especially when it comes to a baby I have been waiting so long for. Many times, I will start out with the best, then make educated sacrifices here and there. I also tend to want everything to match, to be brand loyal, and to have the newest, coolest thing around. All of these things tend to settle down with me after I have been looking for something for awhile. I struggle finding gender neutral things that I really like and really think are gender neutral. With all the major purchases, I would want them to be gender neutral anyway, since I plan on having more than one child and I would like to reuse most of those major purchases. I will tell you that once I know fur sure the gender of my child, he/she will be showered with gender specific clothing and toys! First and foremost for me a car seat. With that, I would like to do a travel system. I know a lot of people don’t like these because they are big and bulky, but the reality is that I am almost 6 feet tall and I need something that is comfortable for me and my height (i.e. a stroller I don’t have to bend down to push). I originally registered for this, but now I am having second thoughts. First, I am not too sure how gender neutral the fabric is. I think if I had a little girl in this, people would always think she was a boy. I have also read reviews that the fabric is hot, which in AZ is no good. I also have been reading good reviews on this. So I am deciding between the two, and then deciding on a pattern/fabric. This one’s stroller is CR #1 rated and the car seat ranks pretty well, also. I like the patterns available on this one, and I like that it comes with lots of matching other stuff like a bouncer, diaper bag, swing, and playyard. It folds very small, but is heavier than most and you can’t fold it with one hand. 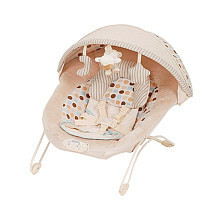 This one’s car seat is CR #1 rated in all categories and the stroller rates very well also. It is lighter and you can fold it with one hand, but it doesn’t fold very small. They are both pretty similarly priced, also. I can’t decide on this one. I tried out the first one at babies, but I’ll have to go back again. Thank you for stopping by my blog and for the great comments! I welcome any and all advice. HA!Reading all your fun baby-shopping experiences made me smile. I’m ready for all of that, whether we have a biological child or adopt. I’m ready. Period. I have to rad and catch up on your previous posts, but it sounds like you are on the road. I commend you for moving onward and upward! Thanks again for the comments. They meant a lot to me. YAY for baby shopping! I completely appreciate you sharing all your research and ideas… so helpful. And I agree – I always tend to want the best/brightest/newest of everything… but usually end up scaling back as time goes on 🙂 Enjoy your registering… isn’t it FUN? 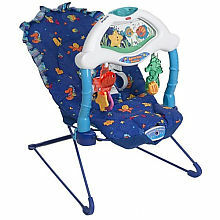 My Agirl had the Ocean Wonders bouncer….LOVED it!!! !What fun you are having!!! Keep posting your finds! I plan to register in a few weeks. I’ve been looking at strollers for a long time and haven’t found one that I love, yet. On looks alone, I like your second choice the blue/gray one. Does it fold up easy? I know you want the travel system but incase you decide differently check this one out. 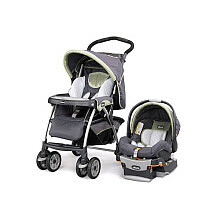 ‘Kolcraft Contours Lite Plus Stroller’ Do a search on Target.com. The handle is adjustable. That’s the one we were going to get but I went cheaper and regret it now. My hubby is taller and the one we have is just a tad bit too low for him.You will want something you can do with one hand. Not so much of a concern when the baby is in the carrier but when the baby has outgrown it you will want one-handed if possible. I don’t think the brown one will make people think she is a boy.